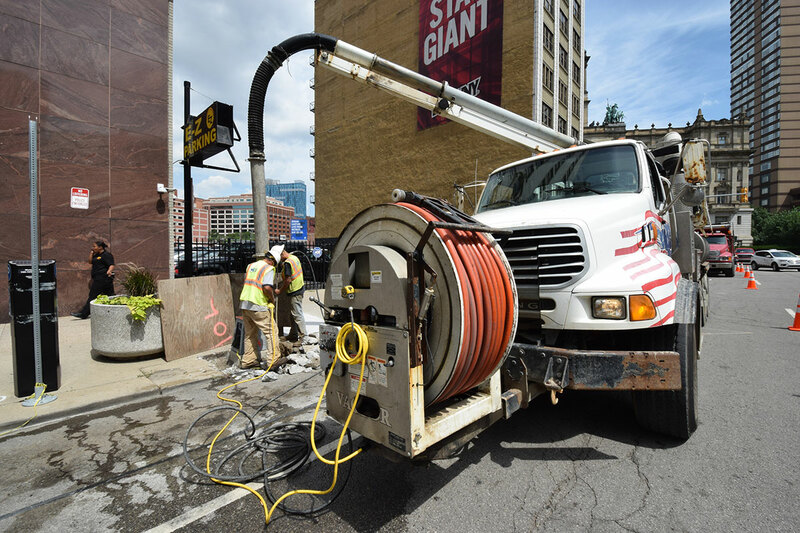 Primarily used in municipal and industrial applications for complete line replacement, this system is a proven and recognized methodology with trenchless capabilities. This system of rehabilitation may require some excavation but it significantly reduces the footprint as well as the disruption and downtime associated with full replacement. Our Pipe Bursting team has completed over 500,000 lineal feet of varying sizes and application (water, sewer, storm, gas, oil, industrial, petrochemical, etc) throughout the eastern half of the United States. 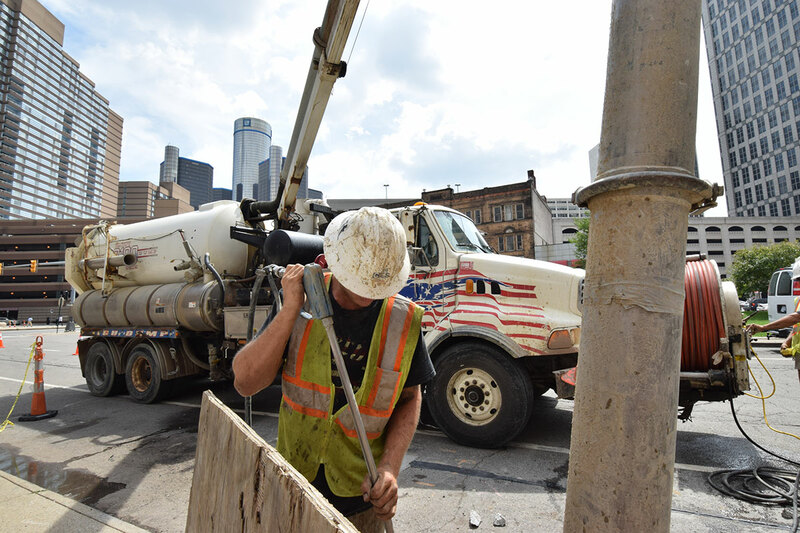 CES owns and operates all of its Pipe Bursting equipment as well as providing its own specialized crews for its work. We have successfully provided a variety of Pipe-Bursting applications up through 48 inch diameter. In addition to providing a brand new piping system; Pipe-Bursting is the only trenchless rehabilitation method which also allows you to increase the size of the pipe. This is particularly useful for old pipes with inadequate capacity. Primarily used in applications where the capacity of an existing pipe is not a concern. Our Slip-Lining process is a very cost effective consideration for larger pipe applications. Slip-Lining is a process where a new and smaller pipe is inserted into an existing pipe. The annulus between the pipes is then filled with a cementitious or flowable grout material. The result is a slightly smaller but much smoother pipe within a pipe with significant savings over other forms of pipe replacement. Slip-Lining provides a long lasting solution which can still often provide similar or improved flow rates of the original pipe. CIPP is a means of providing reconstruction of an existing pipeline without the need for excavation. This occurs through the installation of a resin-impregnated tube inside the existing pipe and curing it into a joint-less structural pipe within a pipe. A sewer can be reconstructed, with improved flow characteristics, typically in one day without any excavation requirements. The CIPP products we utilize comply with ASTM F-1216 and meet or exceed applicable industry standards. Our staff and crew members are recognized industry leaders with proven experience and a vast knowledge of the CIPP industry. Our key staff members have worked with this process since its inception and helped pioneer the introduction of CIPP throughout North America. CES offers a diverse product and service offering with respect to pipeline maintenance and rehab needs. While many firms will market and offer one product for any project opportunity, USA will review each project’s unique characteristics, and provide the best product to ensure a successful solution. Lastly, CES is one of the few providers able to individually inspect and identify pipeline deficiencies, as well as manage a comprehensive pipeline program.